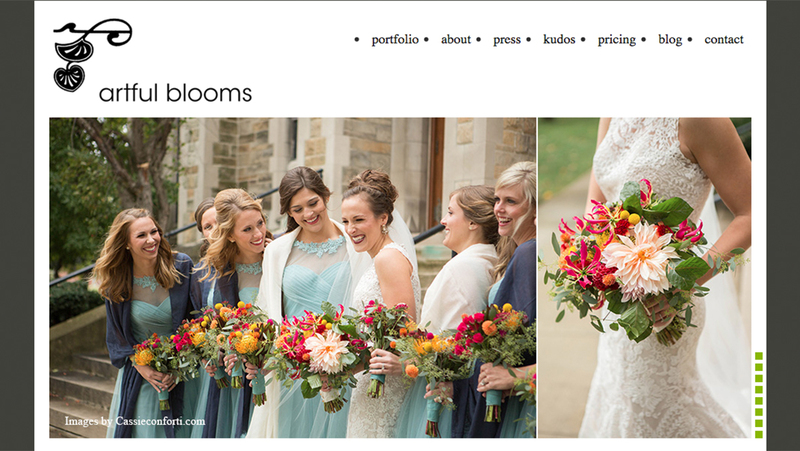 Artful Blooms is a premiere floral design studio servicing Bloomington, Indiana the and surrounding areas. With a tailored approach to florals; Teresa and Karen provide exquisite style and exclusive designs. The passion of floral artistry is transferred through their energy and talents for each individual client’s event. Each design is created to captured the client’s style and persona, may it be, adventurous, modern, classic or sophisticated. Artful Blooms’ mission is to exceed their client’s expectations each and every time.